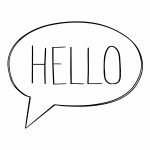 This is the first blog in a three-part series on the value of introductions and how good introduction skills lead to better client service and new business. Check back soon for the second installment. Introductions are everywhere. Think about it: Who among us doesn’t enjoy introducing our friends and colleagues to each other? It’s easy, it’s fun and often we receive credit for very little effort. Not surprisingly, those who excel at networking events are particularly good at introducing individuals to one another. In addition, many in-house meetings begin with introductions. Practice group and office meetings, staff meetings, partner meetings, internal brown bag seminars, firm retreats—you name it. The point is this: Introductions matter, and effective introductions can lead to myriad new business opportunities. Convince practice, office, client and industry group leaders to include time at their regular meetings for at least one member to give a deep-dive, detailed self-introduction. For fun, ask participants to introduce themselves (or others) in just six words (or some other number). Follow up on interesting responses. Offer a brown bag seminar on the topic of introductions, including topics such as mnemonics to help remember names more easily, the “right” handshake, eye contact, balance and optimism. All of these efforts will have a positive impact on building knowledge and rapport among colleagues, clients and friends, guaranteed!